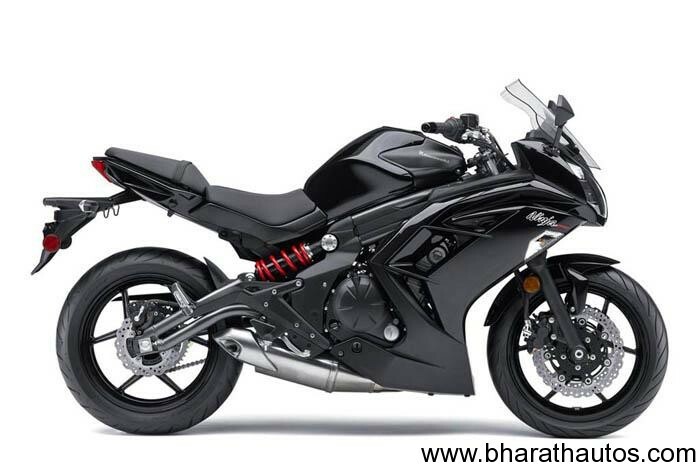 2012 Kawasaki Ninja 650R was recently launched in the global markets. Now the sources suggest, Kawasaki and Bajaj are in the process of bringing to India their significantly revised 2012 model Ninja 650R. The 2012 edition of the middle weight Ninja has received many changes, which although might look minute, are quite significant. Changes have been made to the front fairing, fuel tank, seats and tail section. 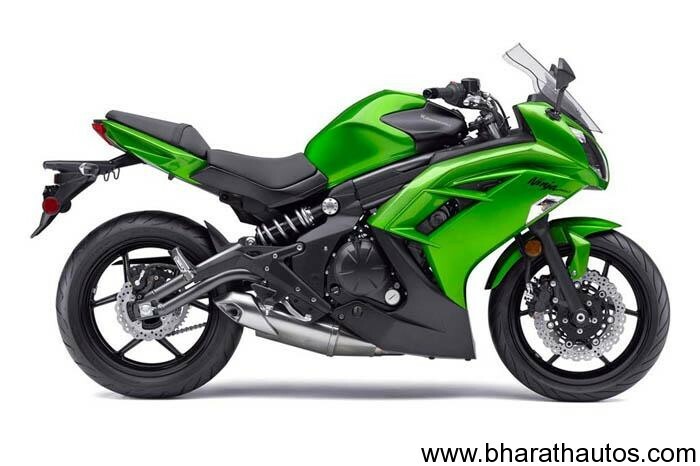 A new twin-spar perimeter frame debuts on the 2012 Ninja 650R, which is stiffer and has improved handling. 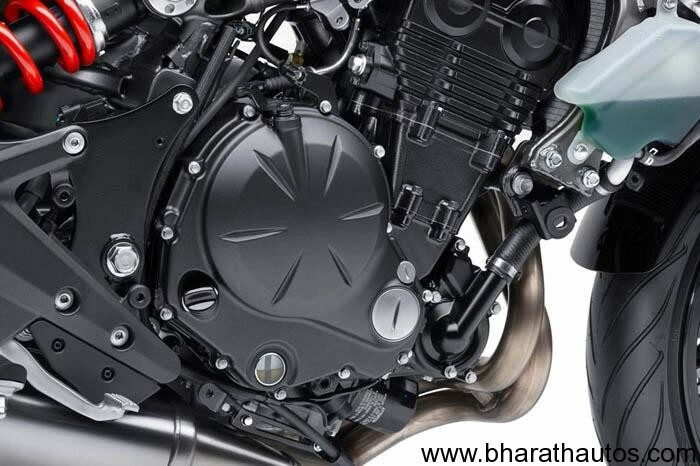 The engine stays Kawasaki’s potent and proven 649cc, parallel-twin, liquid cooled and four-stroke unit, with improved low- and mid-range torque delivery thanks to a revised exhaust system. 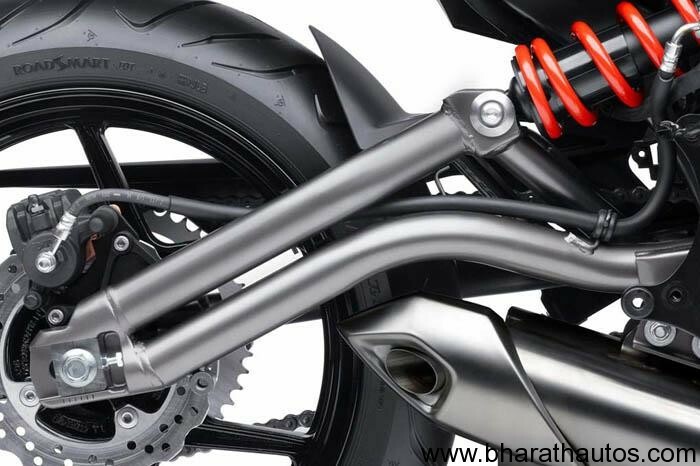 The frame and swingarm are new and fabricated from twin pipes. The suspension is modified, providing 5mm more stroke in front and 2mm extra at the rear, which is still a visible, near-horizontal single strut. Lower spring damping rates have improved ride quality and sportier handling is being claimed. 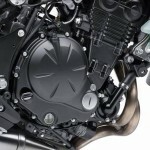 The 2012 Ninja 650R’s fuel tank size has increased slightly, while the new model uses a more compact battery. Kerb weight is up a few kilos, at close to 208kg. 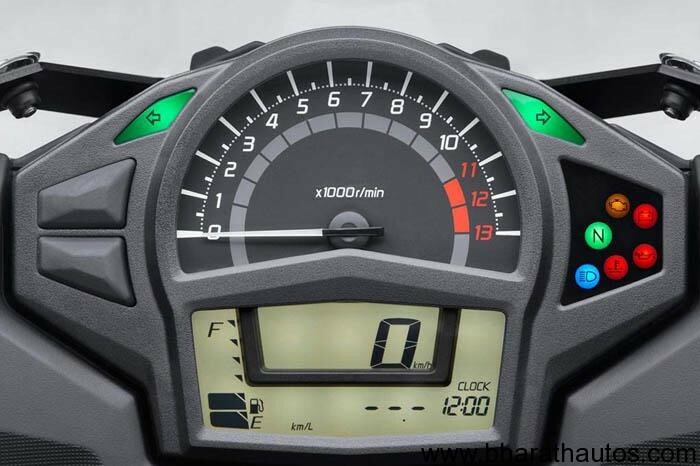 The new bike gets a number of improvements of which the best one is a claimed mileage of 17.7 KMPL. The bike also gets a bigger 19 liter fuel tank. Sources suggest Bajaj Auto will launch the updated Ninja 650R in India early next year. 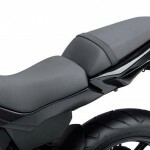 The Ninja is currently brought into India as a CKD from Thailand and with the updated model going on sale in Thailand, Bajaj Auto has no option but to get the 2012 edition of the Ninja 650 here, with the price seeing a slight upward revision. Front Suspension / wheel travel – 41mm hydraulic telescopic fork / 4.9 in. 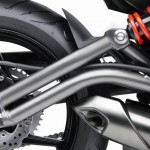 Rear Suspension / wheel travel – Single offset laydown shock with adjustable spring preload / 5.1 in. 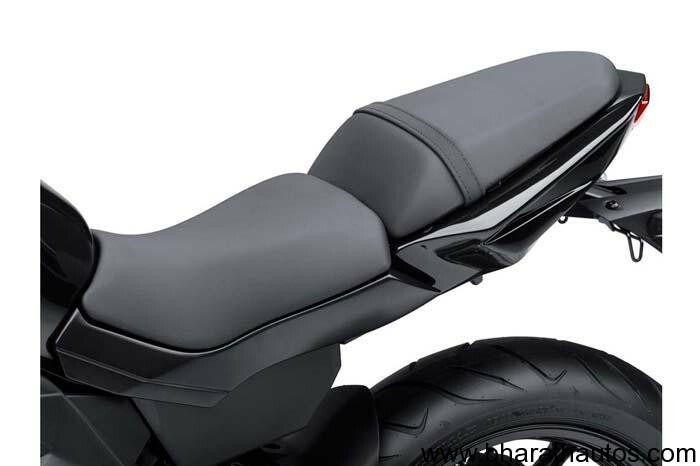 Curb Weight – 460.8 lbs. Overall length – 83.1 in. Overall width – 30.3 in. Overall height – 46.5 in. 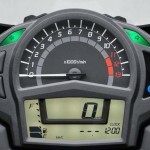 Also see – Bajaj Auto shuts Kawasaki Ninja 650R bookings till Diwali?